The next couple days in Barcelona I took it easy, enjoying my time in the city without rushing around and trying to fit everything in. I didn’t really have a plan for the day past getting some breakfast and a large cup of coffee. I would look through my guidebook while sipping on my much-needed java and then decide on a place to go. 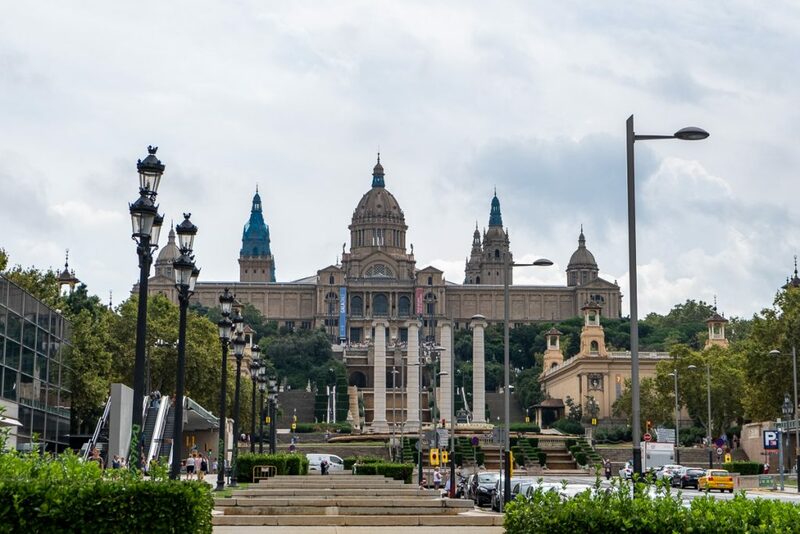 On one day I decided to head up to Montjuic. 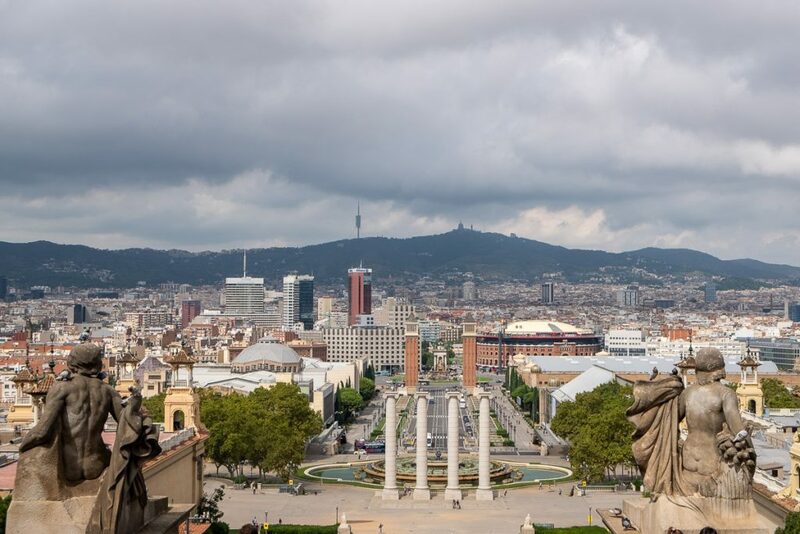 It’s the large hill that overlooks the harbor and city of Barcelona and is supposed to have some great views. 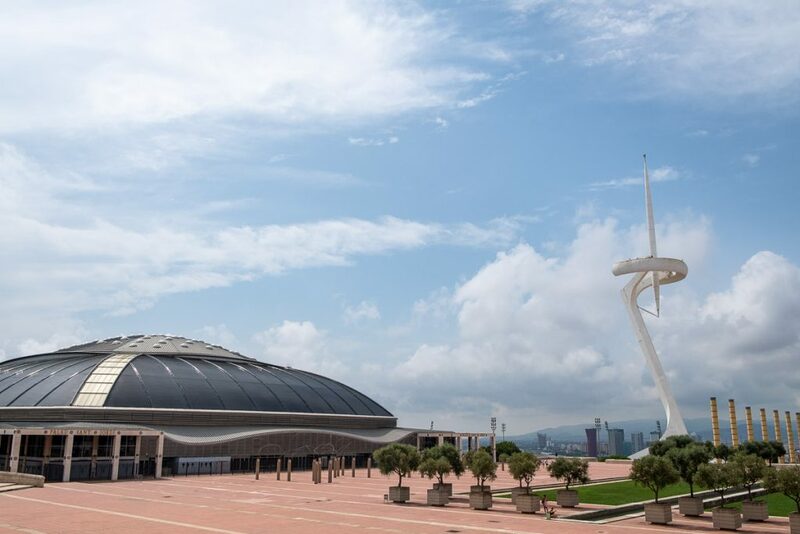 After a short metro ride, I’m standing in Plaza Espanya looking out at the Barcelona Arena. 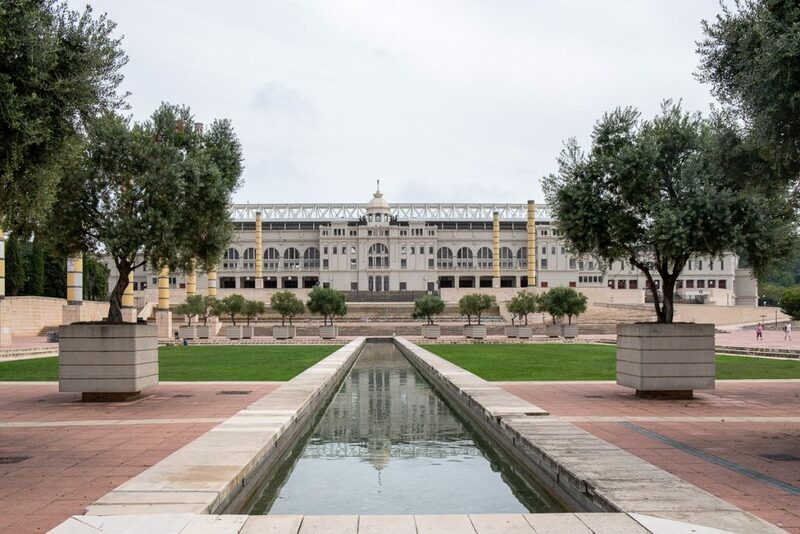 It was once a bullring, now it’s a shopping mall. 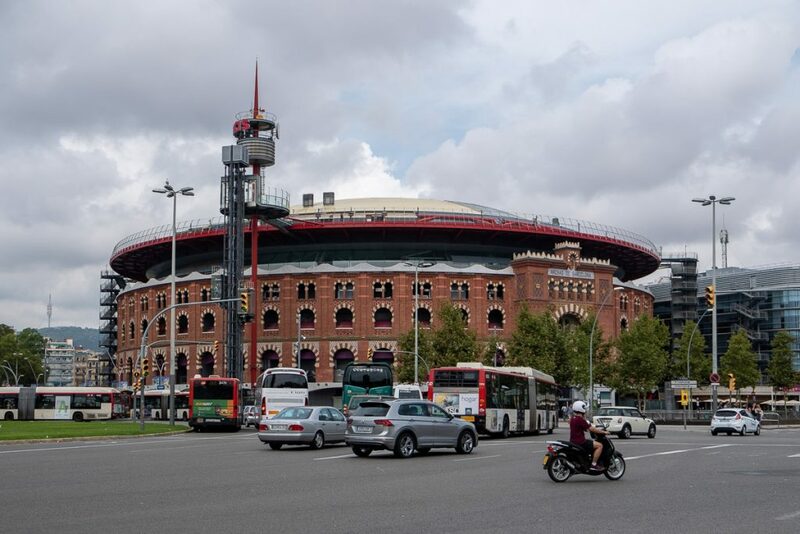 From the size of the arena, you can really appreciate how bullfighting was a large part of the Spanish culture at one time. In regards to riding the metro, the guidebooks all warn they are a haven for pickpockets and you really need to watch yourself and your belongings. While it is sound advice, they really put the fear into their readers. I found that most of the times I traveled, the subways weren’t that crowded and there really wasn’t anything to worry about. If it was noses to armpits crowed, I would have certainly been more concerned. I head up the avenue, looking forward to seeing the Magic Fountains. In the evenings the fountains dance to a full light and music show, however, it appears that during the day they are turned off. At least that’s how I found them. There would be no magic for me today. 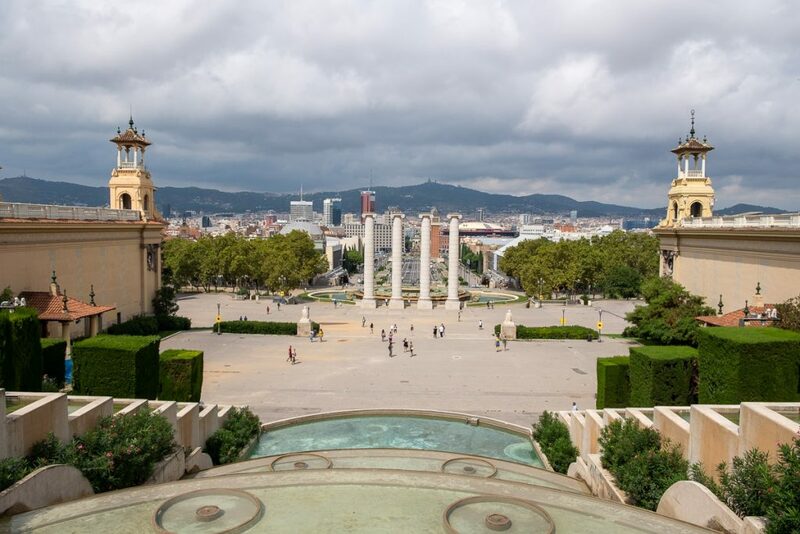 The hike up to the Palau Nacional, the National Art Museum, is a combination of a lot of steps and thankfully quite a few escalators. I was there for the views not the artwork and I think the effort to get there was worth it, even if it was a bit overcast. I kept seeing signs pointing to the Olympic Park and after a quick rest and buying a bottle of water I decided to follow them. The path leads me further up the hill behind the museum where I ran into a fenced off area with some buildings behind them. It didn’t look like much but I decided to go have a look around. Once inside the gate, I realized there was a stadium of some sort off to my left. The gates were open and I didn’t see any signs telling me otherwise, so I figured that meant I could go in and have a look. I had wandered into the old Olympic soccer stadium. There is still grass on the field, so I imagine it still gets used. Fun fact that I learned, the stadium was originally built for the 1929 World’s Fair and was then going to be used in 1936 as part of an alternate Olympics in protest of the Nazi’s hosting that years Olympic Games in Berlin. The People’s Olympiad never happened as the Spanish Civil War erupted. 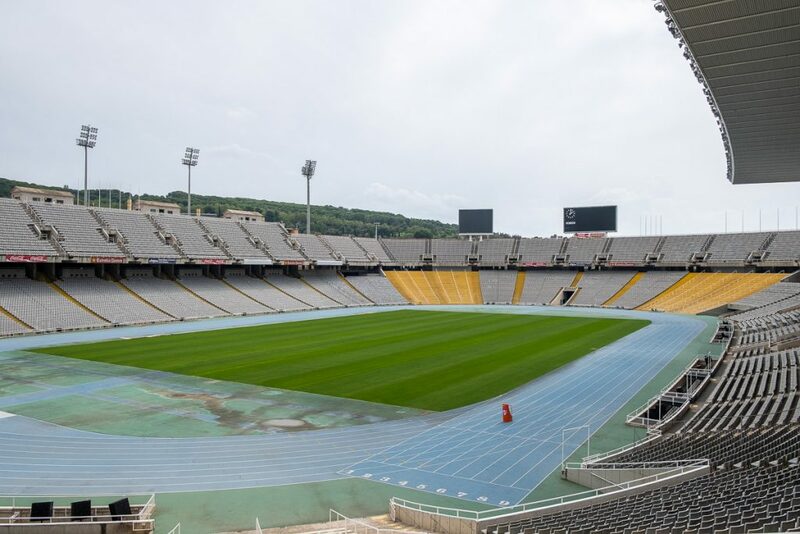 The same stadium was renovated and used for the 1992 Olympics in Barcelona. As I exited the stadium I realized I was standing at the entrance to a much larger complex that I didn’t see as I walked in. It felt like the place had been stopped in time, everything left in place from almost 30 years ago. 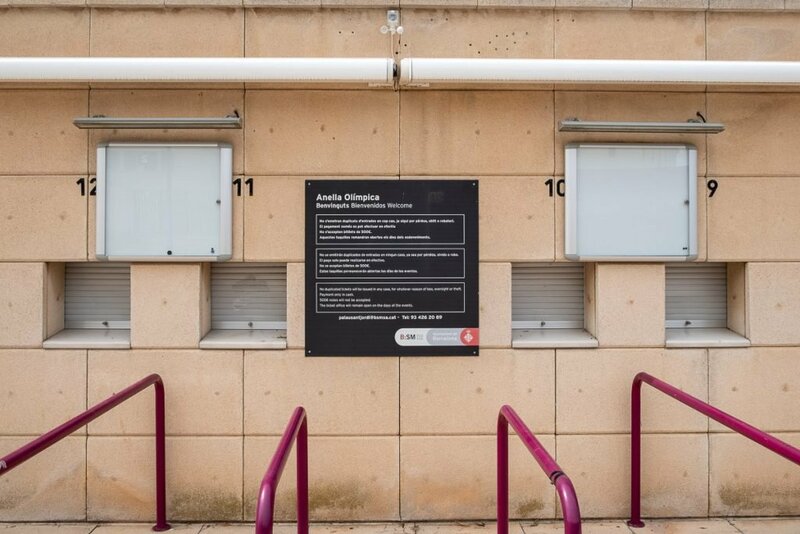 The ticket booths still had the original signs. Across from me, I saw a giant tower, which I thought might have held the Olympic flame during the games. 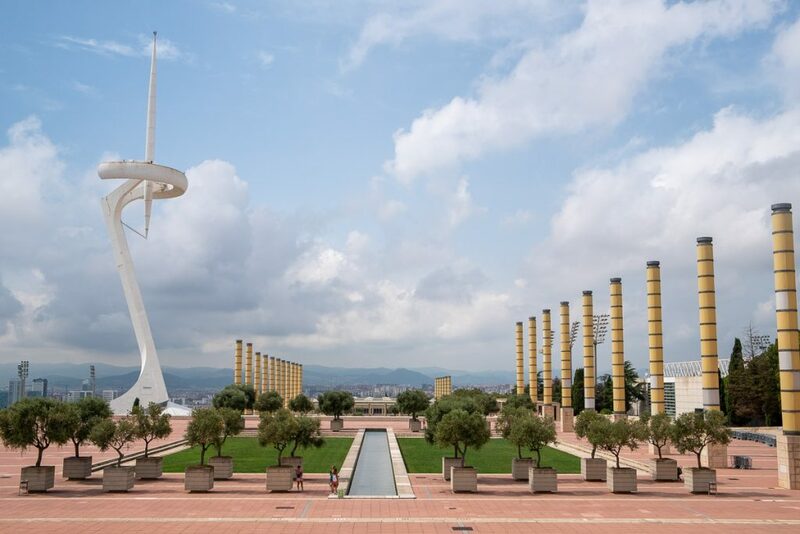 I learned it was actually a telecommunications tower erected to broadcast the games to televisions around Barcelona. It was fun and strange to be walking around an Olympic park and having the place almost to myself. Other than a few other tourists, it was a modern ghost town. After a little more exploring I decided to head back. The temps were climbing and I was cooking in the sun. It took me about 40 minutes to make it back to the hotel, including the walk back downhill and metro. My evening started with a trip to the barber. I was looking a little scruffy since leaving Arizona two months prior. Earlier in the day, I had located a shop near my hotel and after a brief call found they had someone there that spoke English, so I made an appointment. Jak was a nice guy from Wales who was OK with a set of clippers. While I looked better than I went in, I can’t say it was a great haircut. I kind of looked like a high school English teacher circa 1992. I once paid $3 for a haircut in Thailand that looked better. But he did part my hair on the correct side, so as not to mess up my mojo for a month. My hair properly coiffed, I headed back to the Boulevard for more tapas and beer. In keeping with my m.o. 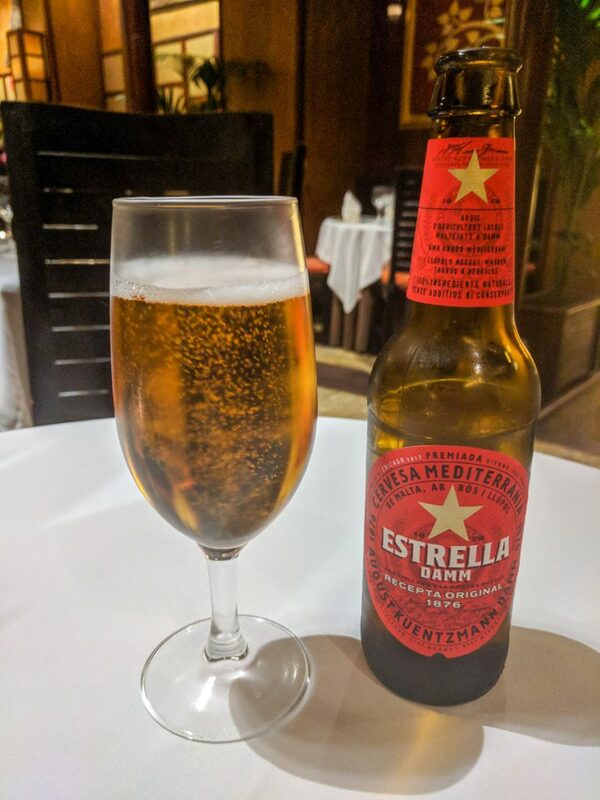 of trying all the local beers, tonight was Estrella Damm. I’m starting to think most of these beers taste pretty similar. The tapas were in my belly before I could snap a photo.